We are in the process of moving our Hales Corners store to a new location….just 4 blocks north of the old store, still on Highway 100 in Hales Corners. The new address is 5300 S. 108th St. and the phone is still 414-529-DIVE (3483). Stop in to the new location to see what’s new! Thermaxx, the newest wetsuit technology from Henderson, the leader in exposure suits is now in stock! 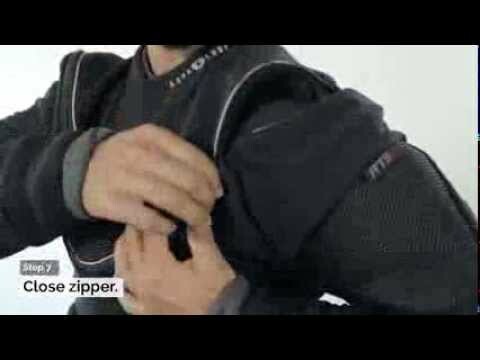 What makes Thermaxx suits different? Using a very special process, Titanium powder is combined with a special ultra stretch adhesive material to create an external titanium thermal barrier between the nylon fabric laminate and the neoprene core. Fire Fleece lining is an ultra high stretch, low pile, synthetic fleece which is incredibly soft, and comfortable. Its luxurious feel and plush comfort will add a new dimension to your diving experience. Fire Fleece minimizes water transfer throughout the wetsuit resulting in a warmer and more comfortable dive adventure. These new suits are in stock at Delafield and Menomonee Falls now…stop in before your next diving adventure to try one on! We get this question a lot this time of year….about selling snorkeling gear. The answer is YES! All three locations have a large selection of masks, snorkels, and fins along with snorkeling sets for the entire family. With our trained staff you can be assured of getting the best fitting gear available. We have mask and snorkel sets for adults and kids along with various styles of fins and accessories to make your snorkeling adventure fun! How about some new gear for yourself? Even though the local dive season is over, you can still get some killer deals on the gear you need for next year or for your dive vacation over the winter. Save big on wetsuits, dive computers, full gear packages, cameras, and more! Purchase any qualifying Scubapro BCD, Regulator and Octo/Air 2 and receive a FREE Scubapro Chromis Dive Computer, a $519.00 Value! Big Savings on Oceanic Computers, and FREE Octos when your purchase selected regulators! Purchase any qualifying Aqualung BCD, get a FREE Aqualung Defense Dry Duffle Bag, a $110 Value! Join the Underwater Connection for a week of underwater exploration around the tropical island of Bonaire. For almost 40 years, Captain Don’s Habitat and the island of Bonaire have lead the world in conserving and protecting their underwater ecosystem. And today, Bonaire offers some of the best and some of the easiest diving in the Caribbean. Don’t miss out on this incredible trip!!! Includes: Roundtrip airfare from Milwaukee to Bonaire, airport transfers, 7 nights in two bedroom bungalows at Capt. Don’s Habitat, unlimited shore diving 24 hours a day, 12 boat dives, 1 NIGHT boat dive, tanks and weights, along with breakfast and daily. Plus if you are a certified Nitrox diver, you get FREE NITROX for the entire week! $2100 per diver based on quad occupancy. $500 holds your spot, and final payment is due Jan 2nd, 2015. Call Mike at the Underwater Connection in Menomonee Falls at 262-251-8283 to sign up! Launching on October 25th 2014 at Dive 2014, Apeks introduces a very special product that will mark the 40 year anniversary of our company, a business founded by two people with a passion for diving and quality engineering. The question is, will you be one of the few? Bonaire Febuary 21 – 28, at Captain Don’s Resort…includes round trip air from Milwaukee, oceanfront room, transfers to hotel, 12 boat dives, unlimited shore dives, breakfast each morning. We have air tickets and rooms reserved until November 10th. If you are thinking of going please call our Menomonee Falls store at 262-251-8283 and ask for John before the 10th. Thermal Fusion, a high performance diving undergarment, maximizes warmth, and provides unrivaled flexibility and fit. Proven by science, independent laboratory tests by the Sport Innovation Center (SPIN) validate the superior insulation value of the Thermal Fusion. Cold water immersion and controlled cold weather environmental tests determined effectiveness in protecting skin and core temperatures. Comparative testing against our competitor’s top rated undergarment confirms superiority. The science proves that the Thermal Fusion performed best overall in preventing heat loss in extreme environments.